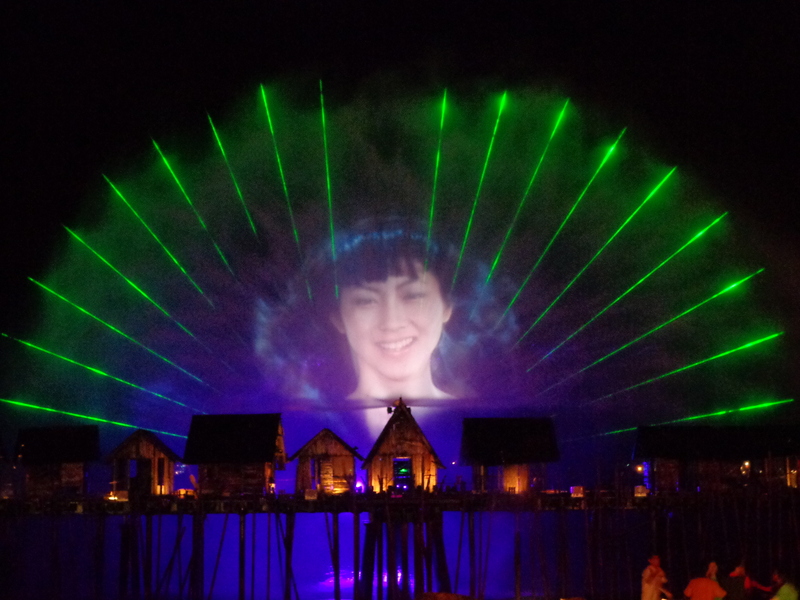 Yesterday, Sentosa waved good-bye to Songs of the Sea with an impressive display of fireworks, zealous sing-alongs and emotional goodbyes from the cast. After a successful seven years and more than 5,000 shows, the world’s only night extravaganza set in the sea has captivated 8.5 million guests with an interesting blend of live cast, dramatic effects and dazzling pyrotechnics. Starting today, the show grounds will close in preparation for the new multimedia night spectacular – Wings of Time. Wings of Time, produced by the award-winning events company ECA2, will unveil its majestic charm from 17 June 2014 onwards at the same outdoor theatre as Songs of the Sea. The show will present a never-seen-before ensemble of artistically choreographed multimedia effects, a talented live cast, and fun audience engagement. With a new 10-metre tall backdrop against Sentosa’s Siloso Beach’s picturesque scenery, the 25-min spectacular will take the audiences on a magical journey of regal proportions, with new robotic fountains, 3D video mapping and enhanced pyrotechnic effects. A talented cast will take audiences on a journey filled with adventure, courage and friendship in this family-friendly extravaganza. It tells the story of a fantastic journey through time and space. A bird-like creature, Shahbaz, from prehistoric times goes on an adventure with two modern-day teenagers in search of home. Along the way, they discover the world by exploring wondrous locations around the world. As the teenagers assist their newfound friend to find his way home, they too must face a test of their courage and friendship. The decisions they make will eventually help them (or not) to find their own way home too. “Wings of Time will redefine history again, bringing together a breathtaking adventure with the latest multimedia effects and values we can identify with. We are confident that this will again push the boundaries of premium entertainment options for families, even after the sun sets,” said Mr Sam Lee, Director, Island Business, Sentosa Leisure Management. With just weeks away before the new show launches, Sentosa and ECA2 are embarking on extensive renovations to overhaul the stage area and equipment within the show premise. State-of-the- art technology meets contemporary storytelling as Wings of Time showcases a new choreography of pyrotechnics and special effects tightly woven into the storyline. New equipment including robotic moving water jets with LED lights and coloured lasers will be installed, while existing infrastructure will be boosted with upgrades for a seamless integration to take every guest’s breath away. Casting calls for the new cast have been completed and they will undergo intensive training by Sentosa and ECA2. 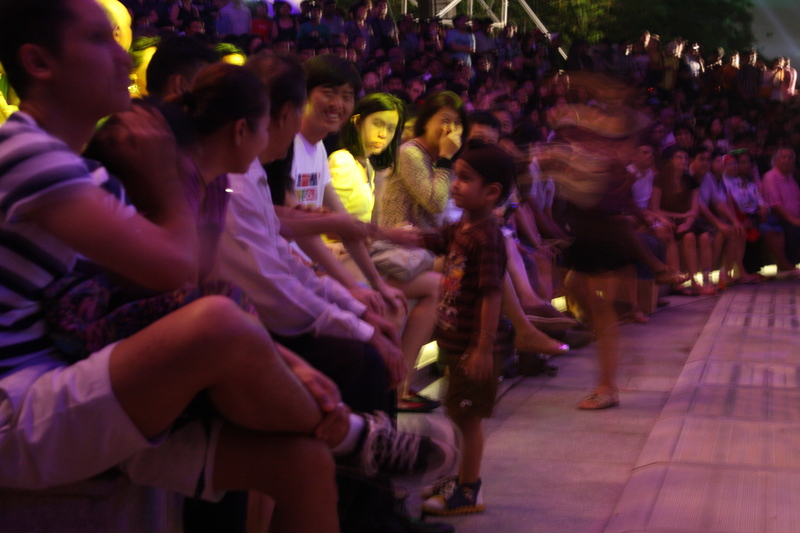 Wings of Time will be a ticketed performance, with daily shows at 7.40pm and 8.40pm along Siloso Beach. Premium seats are available at S$23 per person, while standard seats are at S$18 (standard rate), and S$15 (for local residents). Advance tickets are available from 12 May onwards at store.sentosa.com.sg. For more information, please visit www.sentosa.com.sg or call 1800-SENTOSA (736 8672). It’s official, Singapore overtakes Tokyo and is now the world’s most expensive city to live in, according to a report by Economist Intelligence Unit (EIU). These days, weekends are no longer fun anymore. A weekend trip out with your partner / friends / family can easily cost more than S$100 per person. I hunt down the latest buzz for you to enjoy at a dime, but wait, there’re also options for special treats! There’s a new brunch in town packed with culturally diverse flavours happening at MEDZ – the casual dining restaurant for Mediterranean food. Recently launched on 22 February, I ditched my nasi lemak and kaya toast to choose from the wide range of cuisines from France, Spain, Italy, Greece and Turkey. SAVE: Experience one of the largest range of brunch items with prices from just $12.90 to $14.90. All brunch items come with free coffee. Go in a group of 5-6 and order 4-5 items for sharing. Remember to leave some room for the delightful dessert – The Berry Lust Pancake! Locations: MEDZ currently has two locations – Orchard Central #B2-01 to 03 / #B2-30 to 43, and Millenia Walk #01-46/47/55/56. Brunch available from 11am onwards at Orchard Central, and from 11.30am onwards at Millenia Walk out. For more information, check out their Facebook. After a hearty meal, hop on to the MRT and alight at Bras Basah station (Circle Line) or Dhoby Ghaut station (North-South / North-east Line) . A stone throw away is Teo Heng KTV Studio where you can sing your heart out without bursting the seams. For those who are not aware, this budget karaoke studio has a new outlet at Rendezvous Hotel. SAVE: Happy Hours start from 12pm to 7pm. Medium size room costs only $10 per hour, can accommodate up to 5-6 persons. If you and 4 of your friends sing for 3 hours, that’s only $6 per person! It’s a no-frills concept but drinks available at $1 onwards. Location: Teo Heng KTV studio is located at 9 Bras Basah Road, Rendezvous Hotel Gallery #02-03. Remember to call the outlet at 6338 0603 to make reservations at least 1-2 weeks in advance. They have other outlets spread across the island, check out their website for more information. If you croak like a frog or just tired from singing, take a walk down Orchard Road to The Cathay. Golden Village has its version of Gold Class and Cathay Cineplexes has its Platinum Movie Suite. I was fortunate to enjoy the experience as my friend, Min Lee had a free pair of tickets to RoboCop (2014) from her boss. We were treated to spacious airline first class style couch with butler service and a welcome drink. The butler on duty would tuck us in a comfortable duvet before the start of the movie. SPLURGE: This is for one of those special occasions. Perhaps it’s your first date, anniversary or celebration, get a pair of platinum movie ticket at $28 each. Dining & Movie Experience package is at $76 per person (Priority Cardholder: $69). For the budget conscious, there is the 1-for-1 student deal every Monday & Tuesday for screen before 6pm, and discount on popcorn and F&B menu. Locations: Cathay Platinum Movie Suites are located at The Cathay, level 5 (2 Handy Road), Cathay Cineleisure Orchard, level 4 (8 Grange Road) and JEM, level 5 (50 Jurong Gateway Road). Visit their website for more information. After movie at The Cathay, go down Basement 1 for a mouthwatering ramen treat to end the day! Ranked one of Japan’s top 3 ramen chains with more than 290 outlets worldwide, within 6 months, Ramen Kagetsu Arashi has already opened 3 outlets in Singapore. My personal recommendations are their gyoza and the two new exclusive dishes – Ginjiro ramen and Itameshi dry curry rice. SAVE: Gourmet ramen and tasty curry rice can be affortable. A bowl of Ginjiro ramen is priced at only $13.90 (definitely tastier than any of Ramen Champion’s ramen) and Itameshi Dry Curry Rice, priced at $12.90, gives Pepper Lunch a run for its money. Ramen Kagetsu Arashi provides freshly crushed garlic, special in-house seasoned chives (prepared daily), specially imported black pepper and their chef’s secret recipe soy sauce to accompany your meal. Locations: Choose from 3 locations – The Cathay #B1-01/02/03, The Star Vista #01-41, or Tampines 1 #02-09/10. Their Facebook page contains more information on contact number and opening hours. If a day in town is not your thing, why not try these quiet corners for cafe in Singapore? Forget about heading to shopping malls, I have enough of Starbucks and ToastBox. Here are 2 of my personal choice when it comes to the pastries, moreover, you don’t have to look far as they are probably your neighbourhood. Everton Park is slowly evolving into an enclave of vibrant food scene with the addition of The Audacious Cakery being the new kid on the block. Located a short walk away from Outram MRT station, this cozy, vintage theme cafe is hidden from the main road. Though a small seating area for about 10 persons, this unique cakery offers mini cakes, tarts, cupcakes and macarons. Some of my favorites include Lemon Meringue Tart and the Matcha (green tea) Cupcake. SPLURGE: Come to The Audacious Cakery because it offers a selection of alcohol-infused pastries. I confessed I’m alcoholic hence my choice of these premium cakes. I simply can’t get enough of their Foret Noir ($9.80) and Monet ($9.80) cakes. Two distinctively flavours – one with Kirsh soaked cherries and Kirsh Cream on a dark Vairhona chocolate genoise, and the other contains orange mousse with champagne, served with a tart raspberry compote on a Cointreau soaked sponge studded with red currants. I had a good time with Sophie and Mariana. Alcoholic pastry treats are best enjoyed with your Down Under buddies. Location: The Audacious Cakery is located at 2 Everton Park, #01-61, Singapore 081002. Opening hours is from 8am to 7pm (closed on Sunday & public holidays). For more information, please visit their website or Facebook. SAVE: Muffins are priced at $1.30 each, brownies at $1.70 per piece and miniature cheesecake from $3.50 onwards. My all-time favorite is the Banana Walnut Muffin (only $1.30), consumed when freshly baked is a heavenly treat. Now they also have premium flavour selection muffins at $1.50 each. They have several set promotions like 6-piece Value Box consisting of 2 muffins, 2 brownies and 2 mini cheesecake at only $10.80 (usual price $14.00). Take your time and have your choice. 12 different flavours to choose from. A box of 6 muffins at $6.80. Ala carte at $1.30 per piece. Premium flavours available at additional $0.20 per piece. 6-piece Value Box with 2 muffins, 2 cheesecakes and 2 brownies at only $10.80. Let’s call for a tea party! Location: fRoZ Bakery is tucked in a corner on the eastern shore of the island at Blk 476, Tampines Street 44, #01-175B, Singapore 520476. For details, please visit their Facebook page or website. Opens daily from 9am, except every Thursday (closed). FREE food vouchers for GIVEAWAY! I’m doing a Rafflecopter giveaway (10 sets of $25 vouchers to be given away), simply click on the link and follow the instructions. Giveaway ends on 31 March 2014. Applicable for only residents in Singapore. Good luck! “Save time, pay less, travel more – Get cheaper air tickets and hotel rooms with Wego.com“. Last month, I was fortunate enough to be invited by Hemispheres Foundation to the inaugural Actions for Earth – Global Youth Summit 2014. Although gone are my days as Young Environment Envoy with the National Environment Agency and Young ChangeMakers with National Youth Council, my attendance at the closing ceremony had sparkled off my spirit of environment protection and youth activism once again. Held on 15-18 January 2014, the theme for the Global Youth Summit was “Take Action for Earth, Waste No”. I’m highly impressed by the turn out with close to 450 participants from more than 65 institutions in 13 countries. Apart from Singapore, Vietnam and Indonesia sent the most delegates. And there were even participants from Oman present at the youth camp. Environmental youth activists aged 12 to 21 years old were given an intensive four-day programme with field trips to Singapore’s leading facilities – NEWater plant, Marina Barrage, Semakau Landfill and Incineration Plant. The highlight of the Summit was the announcement of the prize winners. Attended by Guest-of-Honour, Member of Parliament, Tampines GRC & Chairman of MCCY Government Parliamentary Committee, Mr Baey Yam Keng. The top prize in the senior category of City Developments Limited (CDL) – Actions for Earth Award goes to the team “Once Upon A Cow” from Vietnam. Team leader 18-year-old Dang Minh Hang’s proposal to use empty milk cartons to repair leaking roofs in Vietnam won the heart of the judges for being practical and innovative solution to the problems of overflowing landfills and leaking roofs long endured by the poor living in her country’s rural areas. Most roofs in rural Vietnam are made from non-durable materials such as zinc, alabaster slabs or attap. Tetra Pak packaging has an aluminum coating, being waterproof, makes it the best solution for patching leaking roofs. The next Action for Earth – Global Youth Summit is planned to be held in August 2014. Interested youth activists and schools may contact Hemispheres Foundation for more information. Passionate youths committed to the goal of sustainable development in their institutional and personal capacities, may contact National Environment Agency (NEA) to find out more about the Youth Environment Envoys (YEEs) programme. The Young ChangeMakers (YCM) grant supports youth-initiated projects that benefit the Singapore community and society. It also helps to empower youth as decision makers to evaluate projects and mentor project applicants. Find out how you can take actions today, here. Year 2013 ended with a bang, thanks to Urban Redevelopment Authority (URA) and Esplanade – Theatres on the Bay for the special arrangement to allow Michelle (Michhysaurous) and I to view the fireworks from the rooftop of Esplanade. Michhysaurous and I met around 7.30pm on 31 December 2013, perhaps due to the rain, Raffles City and Marina Square were packed with diners and party-goers. Thankfully we managed to find empty seats in Yoshinoya and settle for a quick dinner before meeting the organizer to collect our media passes. 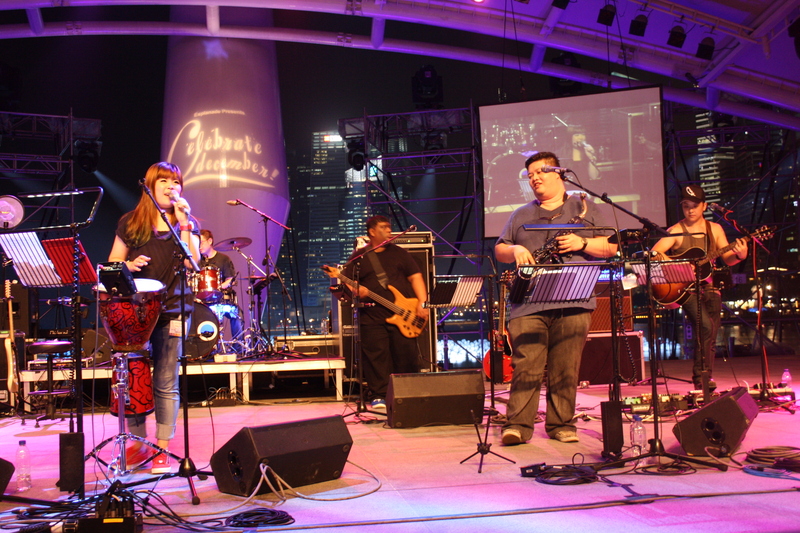 When we reached Esplanade Outdoor Theatre, local band Singapore Char Siew Baos was already entertaining the Colosseum of merry-makers. The amphitheatre was full to the brim with an overflow of audience standing at the back. We managed to elbow through the crowd and find a space large enough for two of us to squeeze in. Michhysaurous loved the band’s version of What Does the Fox Say? and Roar, you can check out their catchy tunes via her Instagram. After the mesmerizing fireworks display, I bumped into my friend, Ron who was a staff of Esplanade. For the good of the community, he was on duty to help usher the party goers to the nearest exit. A salute to all the unsung heroes who had to work on New Year Eve to ensure that the masses got to enjoy this special joyous occasion. However, the journey back to the MRT station was met with lots of road blocks and detours. This was also my greatest fear when attending such mass events. To make matter worse, the security officers were not communicating with each other, we were made to go up the escalator to be told that the exit was blocked. But we managed to make it to City Hall MRT station after 30 minutes of jolting with the crowd. Thankfully the train was not as crowded as we thought it would be. 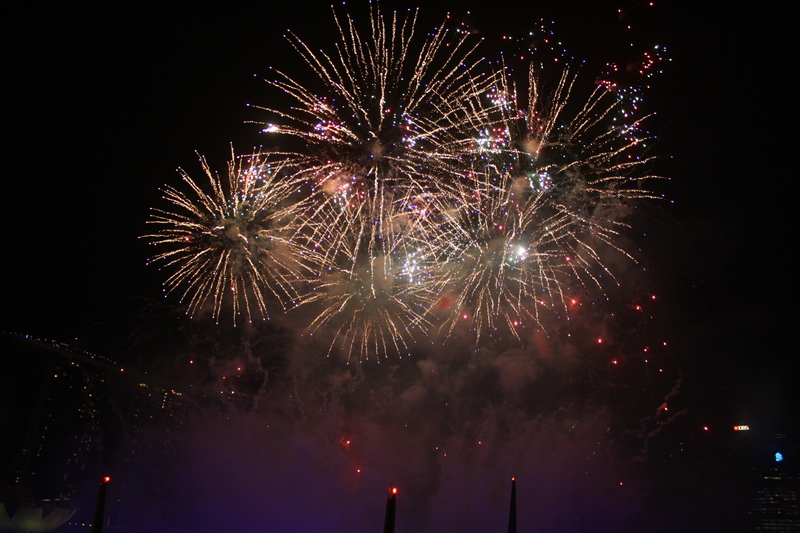 Did you manage to snap an awesome photo of the countdown festivities at Marina Bay? Send in your photo and you may win the top prize worth S$5,488 from OSIM! For more information about Marina Bay Countdown 2014 Photo Competition, check out the link here. Submission deadline is 6 January 2014 extended to 10 January 2014, so hurry and act now! Also remember to vote for me and to check out the coverage by the rest of the official bloggers here. I’m going Esplanade for Countdown 2014! Initially, I was skeptical. In fact, it took me awhile before agreeing to be one of the five official blogger ambassadors for Marina Bay Singapore Countdown 2014. To be honest, I prefer spending New Year eve away from crowd but with the comfort of my bed, my sparkling Moscato and telly set. In all true of the matter, I’m a laid-back guy and being with the big crowd gives me claustrophobia. Sometimes I see myself as a hermit, preferring to spend same major festivals like New Year at home, chilling with friends over wine. But my exclusive invitation to preview the light installation on Sunday night at Esplanade had turned this non-believer into an evangelist. Standing the roof top of Esplanade – Theatres on the Bay at 11.30pm to get a glimpse of the rehearsal of the light display for the celebration is a magical feeling. Someone must have sparkle mystical powder over those amazing lights which make me fell in love. This 31st Dec 2013, I will be heading to Esplanade for the countdown celebration. Are you joining me? Lead by event host, Vivien Tan, come join Cat Ong & Sheila De Niro and the Singapore Char Siew Baos as they use their powerful vocal harmonies and positive tunes to help us reflect on 2013 and usher in the new year. Programme may be subjected to change. For more information: Visit Esplanade’s page here or Marina Bay Countdown 2014 page here. I saw a familiar name and realized that my friend, Jacob Teo is actually a Char Siew Bao! I mean part of the local band, Singapore Char Siew Baos. I hope I get a chance to catch up with him on New Year eve. The highlight of this year’s celebration is the 40-second LED countdown display on the façade of the Ocean Financial Centre. If Time Square in New York can have their mega LED display, so can we right? After all, we are Singapore and we always can find our own way of doing an international gig in a local fashion. Warning! Please take note the road closure on 31 December 2013. Raffles Avenue, extreme left and right lane (from Temasek Avenue Junction to Esplanade Drive Junction) – From 6pm to 2am. Esplanade Drive (Both carriageways) – From 11.30pm to 1.30am. Connaught Drive (All lanes closed) – From 11.30pm to 1.30am. Raffles Avenue (All lanes closed) – From 11.30pm to 1.30am. Esplanade’s Basement Carpark entrances and exits will be closed from 11.30pm to 1.30am. Esplanade’s Waterfront Carpark will be closed from 27 December to 1 Jan 2014. Esplanade Mall’s driveway entry and exit will be closed from 6pm to 2am. Taxi Stand at Esplanade’s Mall Driveway will be closed from 6pm to 2am. For a more detailed advisory on road closure around Marina Bay, please refer to this site. Those attending Marina Bay Singapore Countdown 2014 need not worry about how to get home as SMRT trains and bus services will be extended. Yeah! Last trains towards Joo Koon, Pasir Ris and Jurong East will depart City Hall Station at 2.15am, and the last train towards Marina Bay at 2.01am. Those heading towards HarbourFront and Dhoby Ghaut can catch the last trains at Circle Line terminals at 1.38am. Tiffany Yong and Michhysaurous will be joining me for the countdown. What say you? Happy New Year! See you in 2014. My year started with the continuation of my 2-month backpacking trip across the North and South Island of New Zealand. Here’s me in Waiheke Island, off the coast of Auckland, enjoying a glass of red. Watch out for my travel blog on New Zealand next month! Being the student ambassador for SIM University, I appeared on my university’s website, student recruitment video, prospectus and annual report. It actually feels weird seeing photos of myself in school. Having fun doing yoga at 165m inside Singapore Flyer and appearing in Barita Harian’s story. Thanks Christina for the pic! Caught in a scandalous photo with Tiffany Yong by some paparazzi! With Tiffany at the top of the canopy in Brunei. It’s such an amazing feeling to be surround by the lush greenery. This picture has the most “likes” on Instagram. Thanks OMY.SG and Royal Brunei Airlines for the trip! Once again, thanks to my friend, Daniel. I was able to show my love (once a year) to my country on National Day! Meeting the legendary Eric Tsang 曾志偉 in Hong Kong! Reuniting with my army buddies from BMT after almost a decade! 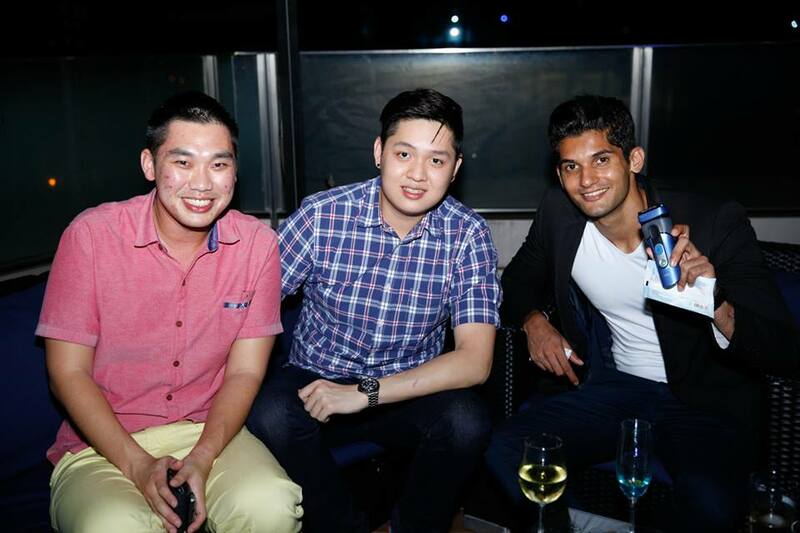 Being one of Domino’s Singapore Top 10 Bloggers! What is your best moment in 2013? Also, remember to take part in Marina Bay Countdown 2014 Wishagram contest. Simply share the festive cheer by snapping and posting a photo and stand a chance to win an OSIM product! Step 1: Using the Instagram App, snap a picture related to the Marina Bay Singapore Countdown 2014. Step 2: Write a caption for the picture, along with your New Year’s wish and email address, hashtag #mbsc2014, and share. Your picture will appear as a Wishagram on this page and on Marina Bay Facebook page too. Five lucky winners will receive an OSIM uVision and uBuzz Latte worth more than $100! One winner will be selected each week between 27 November 2013 and 1 January 2014. Winners will be notified by email. After multiple failed attempts at logging in to SIM University (UniSIM) due to high volume of nervous students trying to figure out the results of their exams, I managed to squeeze my way through to access my grades. I did better than I expected – scored B for Consumer Behaviour module. It didn’t really come as a surprise, after all I worked hard for it, though it took a lot of discipline, commitment and time management to juggle between organising a major event for work and such a theory heavy paper. But hey, the nightmare is over. And to sum it up, all I want for 2014 is simply to Be Happy. Last weekend, we passed by the Wish Upon A Sphere station at Marina Square and CityLink Mall, couldn’t help but to pen down our New Year hopes on the wishing spheres. Each wishing sphere is a representation of heartfelt hope and belief that 2014 will bring upon new possibilities, brighter tomorrow and better beginnings. Walking past One Fullerton that day, I was able to have a glimpse of the Wishing Sphere installation. I’m really looking forward to 31 December 2013 where all 20,000 wishing spheres will be transformed with colourful lights and turned the area into the Bay of Hope and Light. But if you are unable to be physically present to write down you wish at the Wishing Sphere Stations across the island, you can also do so by making a virtual wish here. Personally I feel that this may be a better way, after all I’m an environmentalist at heart. In case you are wondering what happens to the wishing spheres after the countdown, they will be sent to a recycling plant overseas where they will be reprocessed into raw materials that can be recycled into new products. Read more on their FAQ page. This is probably the first time I’m writing a blog post with mixed feelings. On one hand, I’m really excited and honoured to be selected as one of the 5 official bloggers for Marina Bay Countdown 2014. And on the other, I’m fairly upset that I have to rush out this post by tonight due to a slight miscommunication with the organisers and my busy work schedule. I have originally intended to integrate tomorrow’s gathering pictures for this purpose. But well, miscommunication is not uncommon so no hard feeling. I’m always known as “the sunny guy” so let’s move on to the happy stuff. Like I mentioned, I will be featuring more about the Marina Bay Countdown 2014 activities and hopefully I get to have some exclusive behind-the-scene experiences to share. Talking about sharing, you can capture the spirit of this year’s countdown and enter the photo competition and stand a chance to win the grand prize, OSIM uDivine (worth S$5,488)! The theme for this year’s Marine Bay Singapore Countdown 2014 Photo Competition is “Beautiful Life” and all Singaporeans, Permanent Residents and foreigners residing in Singapore are eligible to take part. Simply submit an entry based on the theme to showcase happy moments with family members and beautiful time with loved ones against the scenic backdrop of Marina Bay area. You may include (but not limited to) Marina Bay skyline, fireworks display or Wishing Spheres installation and display, including penning of wishes on the Wishing Spheres at Wishing Station. For submission, all files must be less than 3MB, within 2048 pixels by 1536 pixels. I will be sharing more again soon so keep a look out for it!